Did you ever hear tell of sweet Bessie from Pike? A big shanghai rooster, and an old spotted hog. Old Brigham he pawed up the ground like a steer. But Ike became jealous, obtained a divorce. One of the most famous, if not the most famous, songs of westward migration, in this case to Gold Rush-era California. The words are probably by a Californian named John A. Stone, who wrote under the name “Old Put,” and published in 1858 in Put’s Golden Songster. The melody is “Vilikens and His Dinah,” one of the most-borrowed tunes of all time. There are at least a dozen traditional songs which have borrowed this tune, including “The Pokegama Bear,” almost certainly sung in Minnesota. In the Gold Rush period, emigrants often did stop in Salt Lake City; it was almost the only place settled by Europeans between Missouri and the Rockies. The people there, however, were Mormons, so there was often friction between the residents and the more orthodox Protestants who came to the town. (At one point, the Mormons and the American government were actually gearing up for war — the “Utah War” or “Mormon War.) Brigham Young, the successor of the Mormon founder Joseph Smith, led the colony of Salt Lake City for thirty-odd years, from the time he founded it until his death in 1877. The Mormons at this time were polygamous, and Young had seventeen living wives at the time of his death (and more before that), so naturally there were stories about him luring wives away from their husbands. However, contrary to this song, there is no record of him seeking an unwilling wife. No versions of this song have been collected in Minnesota, but it is known in the Midwest, plus there is the link to the Laura Ingalls Wilder tradition noted below. Source: Two verses of this were collected in 1930 by Vance Randolph from Rose Wilder Lane, the daughter of Laura Ingalls Wilder, and published on page 210 of volume II of Randolph’s Ozark Folksongs. 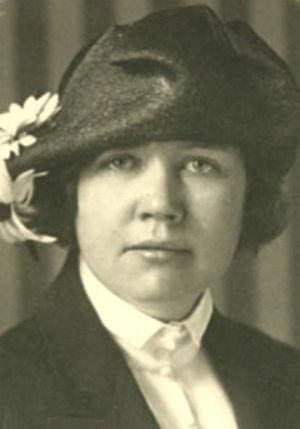 (This was before Little House in the Big Woods was published, so at this time Laura was largely unknown; at that time, Rose Wilder Lane was more widely acclaimed, as a novelist, than her mother. Vance Randolph doesn’t even mention the name “Laura Ingalls Wilder,” and the biographies of Laura I’ve checked don’t mention Randolph. But Rose was living with her parents during this period, not entirely comfortably, and she gave Randolph a total of nine songs). Lane’s version was only a fragment which did not show the full shape of the song. The remaining verses I have taken from the long original in Put’s Golden Songster, adapted to Lane’s “Bessie” form. These additional verses are shown in [brackets]. We do not know how Rose learned “Sweet Betsy,” but it is said that Charles Ingalls played the tune on his fiddle, so it is likely that it came from the family tradition — which means that it would have been played in Minnesota in the 1870s.